Something I hear from clients from time to time – “I tried to print this web page, and when it printed it’s all messed up! 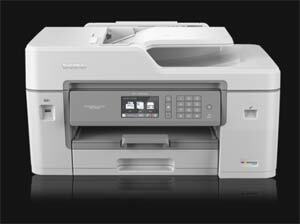 What’s wrong with my printer?” However, the problem is not with the printer – it’s working fine. But there is a solution. Here’s the underlying problem. A web page is designed to look good when viewed in a specific way: on your monitor. Or on your phone (actually, a properly created website will know if it’s being viewed on a computer or on a mobile device, and adapt the content so it gets displayed properly). A web page is usually not designed to look great on paper. So if you’re looking at a website, and you just click File – Print in your web browser, the results may not be what you expect. What you see on the screen is not necessarily what you’ll get on the printed page. But regardless of all that, you might still have a need to print content from a website. There are a couple of possible solutions. And if you find yourself needing this feature regularly, you might consider getting the browser extension to make the whole process even faster. That eliminates the need to copy and paste, and you can use it directly on the web page. And another bonus – if you have a blog or some other type of website that your visitors might want to print, you can get the Print/PDF/Email button right on your site, to make it easy! And you might notice that the Computer Tutor website now offers that option at the top of each blog post. What do you think – is this something you will use? Let us know in the comments. I certainly will use that feature. Not sure how to get the browser extension? Browser extension is offered at the PrintFriendly website. Used it already. Great solution to an everyday problem.